Diane B. Lecher, age 76, of James Drive, Port Washington, WI, peacefully passed away Sunday, April 3, 2016 at her home. She was born on July 31, 1939 in Newburg, daughter of Theodore and Loretta Woltring Thelen. Raised on the family farm, she attended local schools. On September 21, 1958, Diane married Gerald “Chibby” Lecher of Milwaukee at St. Augustine Catholic Church in Newburg. They moved to Port Washington in the early 1960’s, raising their family on Foster Street. Diane worked for many years at Doerr Electric in Cedarburg. After retirement, she worked as a housekeeper for the Harborside Inn and Country Inn and Suites in Port Washington. She was a hard worker, soft spoken; enjoyed her family and a good Packer game. 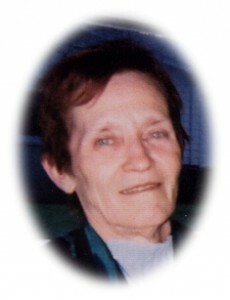 Her husband preceded her in death on February 6, 2002. Diane is survived by her sons Jerry (Deb Paulin) Lecher and Todd (Gail Skebba) Lecher, both of Port Washington; four grandchildren Matthew (Samantha Weinberger), Jacob (Amanda Krebs), Megan and TJ Lecher; great-grandson Nathan Lecher, her sisters Marlene (Donald) Jackson, Nancy (Lowell) Jenz, Mary (William) Weyker and Karen (Wayne) Kirst and her brother Michael (Sharon) Thelen, sister-in-law Shirley Thelen; nieces, nephews, other relatives and friends. She is preceded in death by her husband, infant daughter Carrie, grandson Nate, brothers Donald and Ronald Thelen, sister-in-law Betty Lou Lecher and brother-in-law William “PeeWee” Lecher. Memorial funeral services will be held at 3PM Saturday, April 9, 2016 at the POOLE FUNERAL HOME/Crematory, 203 N. Wisconsin Street, Port Washington. Deacon Tom Surges will officiate. Interment St. Mary’s Cemetery, Port Washington. Family will receive friends at the funeral home from 1-3PM Saturday prior to the service. ← Kleckner, Mary Jane R.